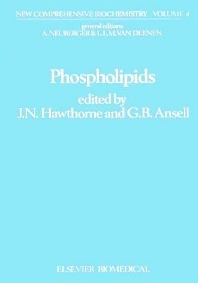 The book discusses the essential chemistry of phospholipids along with an account of the metabolism. The phospholipases and phospholipase A2 is explained since its structure and the mechanism of its action have been investigated in greater detail than any other phospholipid metabolising enzyme. The increasingly important topic of phospholipid exchange proteins is also treated. Furthermore, since the use of biochemically defined mutants shows great promise for the better understanding of phospholipid biosynthesis and function, the book also discusses genetic control of the enzymes involved.